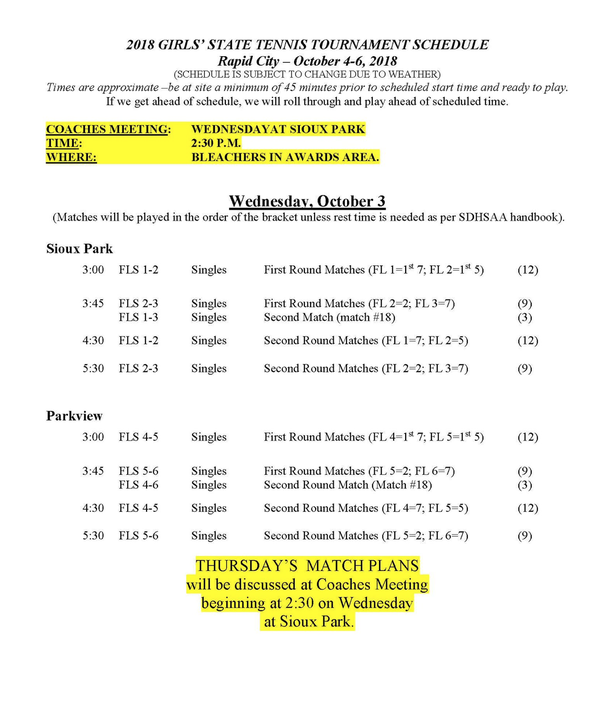 In a release by the SDHSAA, first and second round matches in all six singles flights are scheduled for Wednesday. 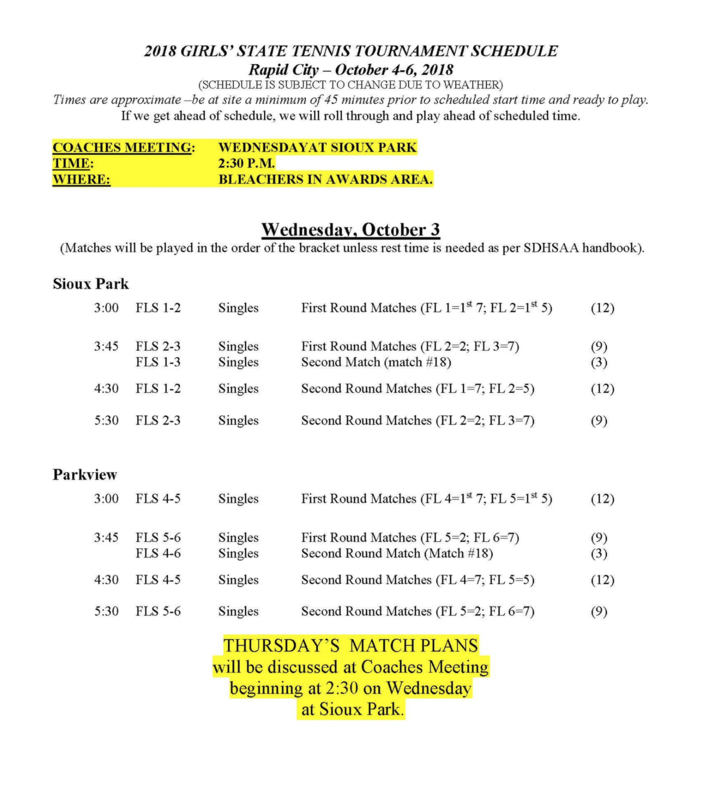 Thursday’s match schedule will be determined at a coaches meeting prior to the start of the tournament. 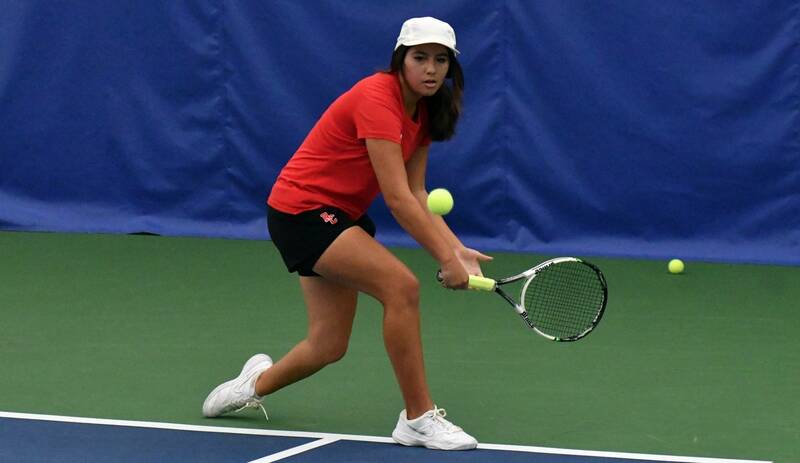 This fall’s state tennis tournament is slated to take place at both the Parkview Tennis Complex and at Sioux Park in Rapid City. 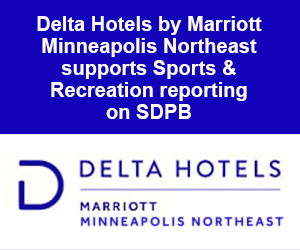 If weather forces the event indoors, play will resume at both the Tennis Center of the Black Hills and Arrowhead Country Club.